The Blu-ray is a wonderful edition with uncensored episodes and gorgeous transfers. And the aformentioned documentary offers fascinating insight into the process behind the show. The programs also come with mini-commentaries from Parker and Stone, like all seasons. It’s not my favorite season of “South Park” but it is one of the best animated-TV Blu-rays that you could buy this year. 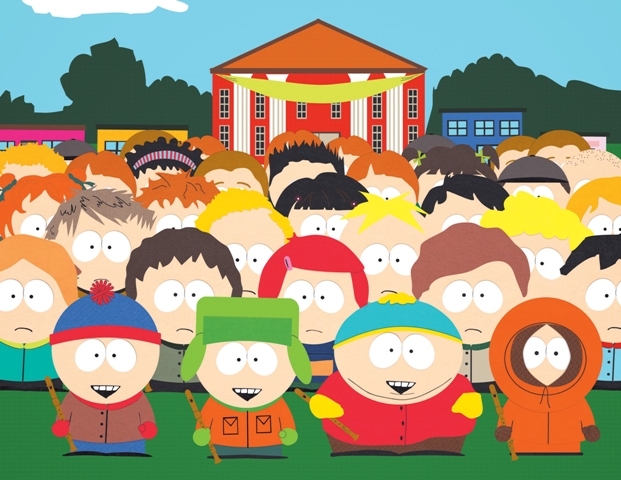 All fourteen uncensored episodes from South Park’s landmark fifteenth season are loaded into this exclusive two-disc set. Join Kyle, Stan, Kenny and Cartman as they bro down on Broadway, become one with the Human CentiPad, and take on the evil email-hacking WikiLeaks. Serve that with a side of royal pudding and some never-before-seen deleted scenes, and you’ve got a collection that will leave your wormhole tingling. Awkwaaarrdd! “South Park: The Complete Fifteenth Season” was released on Blu-ray and DVD on March 27, 2012.